Pm (written just like that) is the nickname of Dr. Patrick Michaud. Dr. Michaud is a software developer and consultant focused on open source development and applications, including Perl, PmWiki, and Linux. He is frequent presenter at Perl and other open source conferences around the world. On the Internet, Patrick is best known as the author of PmWiki and the lead developer for Rakudo Perl 6. He is also known for Strawberry Pop-Tart Blowtorches and Fun With Grapes, which he wrote in the summer of 1994 to evaluate the web as a communications medium and which have been widely cited both on the web and in the popular press. He holds a Ph.D. in Computer Science from the University of Southwestern Louisiana (now the University of Louisiana-Lafayette). 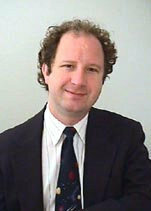 Patrick was formerly a Professor of Computer Science at Texas A&M University-Corpus Christi and the director of the Division of Nearshore Research at TAMU-CC.